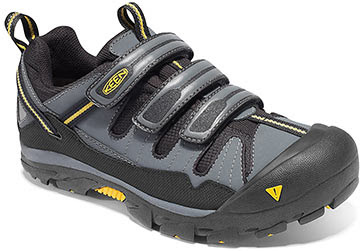 Century Cycles Blog: Get your Keen Cycling Sandals at Century Cycles! 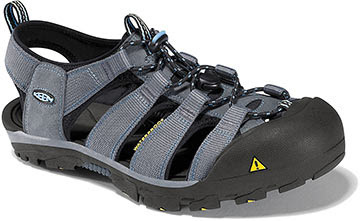 Keen Sandals have been the hottest item in outdoor casual wear for the past couple of years. Now, their comfortable and sporty styling can be worn in cycling-specific shoes! Two new designs give you the on-the-bike efficiency of cycling shoes with off-the-bike comfort of casual shoes! Now in stock in all three Century Cycles stores! The Keen Commuter Sandals have the same open, airy construction as their popular casual sandals, with the durable protective rubber full toe box. The Keen Springwater Cycling Shoes give you the full coverage and stiff sole of standard cycling shoes, with legenary Keen fit and support. Both the Keen Commuter Sandals and the Keen Springwater Cycling Shoes come in Men's and Women's sizes. They both have a two-bolt cleat mounting system, which means they are compatible with Shimano SPD pedals, or any other two-bolt cleat pedal system, such as Crank Brothers, Speedplay Frogs, and more! Both shoes are great for warm weather cycling, but until the spring weather finally comes to the Cleveland area, they'd also make great shoes for spin classes! Do they come in Lime Green? No, but wouldn't you want Chum Bucket Red? I need some contrast you know. Seriously, may need to get the non sandal one. 45 46 hangin round? So, what does this have to do with Bicycle camping?